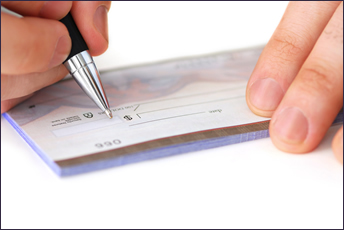 Checking Accounts at UFCW Community means no hidden costs but lots of extras. Provides a small return on your money…but keeps your money accessible at a moments notice. Children will pick a prize from Bamboo's Treasure Chest when they make a minimum deposit of $10.00 each time they visit. Liquidity of funds is inversely related to dividend bearing; the longer the term, the greater the return. Long term investment, created to supplement your retirement and educational needs. This plan offers tax-deferred earning and the possibility for tax-deductible contributions. The plan is subject to IRS regulations. Deposits allowed at any time. With a traditional IRA you may be able to deduct the contributions made to the IRA from your income taxes. Money can be withdrawn after age 59 1/2 but will be taxed as ordinary income. This plan offers more incentives to boost retirement savings. Contributions are not tax-deductible, however, earning can be withdrawn tax-free as long as they conform to the plan revisions. The Roth IRA holds after-tax dollars. By maximizing your contributions, you will add greater tax leverage to your retirement savings. Money can be withdrawn after 5 years and at age 59 1/2 and will not be considered taxable income. This is a tax-advantaged saving plan that will help pay for a child's education expenses. Contributions are not tax-deductible; however, earnings can be withdrawn tax-free as long as it is used for the education of a child. NCUA insures all IRA's up to $250,000 If you want to learn more about an IRA or are ready to open an account, call or stop in to speak to a Member Service Representative at one of our four convenient branches.